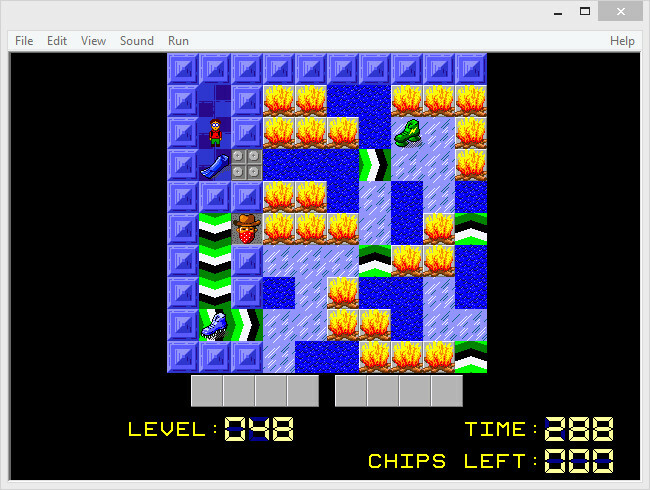 Chip’s Challenge 2 is the successor to the famed Chip’s Challenge that was available in the way back machine known as Atari Lynx, MS-Dos and also Windows 95, among other devices. My first experience with Chip’s Challenge was on a Packard Bell Windows 95 machine, that had the Microsoft Entertainment Pack. 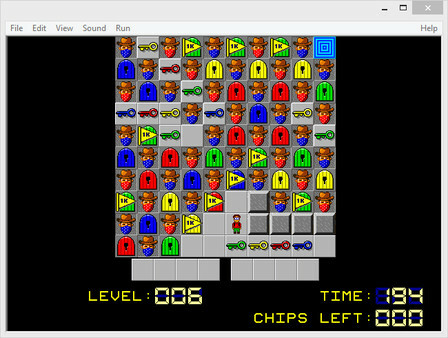 The Entertainment Pack #4 featured several classic Windows games, but Chip’s Challenge was my favorite. “When we last left our hero 25 years ago, Chip McCallahan had won the heart of Melinda the Mental Marvel and they were celebrating together at the Bit Busters annual eprom. Chip’s Challenge 2 has 200 NEW levels, combining elements and puzzles from previous levels and also added 79 additional elements and monsters. There are time bonuses for finishing quickly and bonuses for finishing the level first try out of the gate. As with all puzzle games, there are those times where you bash your head into the keyboard until you figure it out, but that’s part of the allure of this game. You can sit down, play for 10 minutes, or 45 and enjoy it the same either way. Play a few levels at a time for relaxation, or a way to take yourself out of whatever situation you’re currently in. The game requires focus so if you’re having a bad day, throw on some good tunes and play a bunch of Chip’s Challenge. You’ll forget all about what was bothering you. Probably. The added levels are great, and I’m enjoying the new elements added as it totally increases the difficulty in the long term as you progress through levels. The “bad” isn’t really bad, but the actual game window doesn’t expand (that I’ve found) and it’s an awkwardly shaped box. It doesn’t really affect gameplay at all, it’s just a visual thing. Some levels start to feel repetitive, but you muscle through them as you would any other game. For me the game’s success is it can take me out of a situation and I can just focus in on this and sort of relax as I’m doing the puzzles. Sometimes there are timed levels which are absolutely frustrating because you need to waste several plays of the level just to figure out what you’re supposed to do, unless by sheer dumb luck you manage to figure it out in one go. For the small frustrations that may exist, the nostalgia of the game brings me back to a simpler time, and that makes the game worth it. Given that there are a ton of new levels, and a level editor, it will be very fun to go back to this old game with fresh challenges, especially community made levels as well. If you’re a fan of puzzle games that require a little more thought, and are sometimes frustrating (what puzzle game isnt? ), definitely give this a shot. I’d recommend getting the bundle that includes Chip’s 1 & 2 plus the level editor, because why not make some rad levels yourself too.